So, as the National Anthem was playing, I coudn’t swallow. I guess my nerves finally arrived to the party. I didn’t have a specific goal for this race but my typical goal is to go Sub 3 hours. My backup goal is to finish safely and alive. I knew I was in 2:55 to 3:00 shape, but the weather was a bit warm for me (61 degrees, 89% humidity at the start). With that in the back of my mind, I figured I’d go out conservatively, hopefully latch on to someone at a similar pace, and take it from there. Well, I didn’t go out conservatively: Mile 1 was 6:29 (oops). Fortunately, after I slowed a bit, another runner pulled up next to me, and asked me what my goal was (his was similar). So, we decided to stay with each other for as long as possible. His name was James, and this guy saved my race (more on that later). As we were running, I noticed that James had a lot of fans on the course. It turns out that he used to live in Wilmington, and had people throughout the course cheering for him. However, he also seemed to know many of the race volunteers and police officers directing traffic. I jokingly asked him if he was the Mayor, and he laughed, and said no but he was a previous winner of this race. My first reaction was: “Crap, I have no business running with this guy,” but the pace felt good, and since it was a small race (600 marathoners), I didn’t want to run alone. The course: Two laps though the riverfront, parks, and neighborhoods of Wilmington. So, when you’re at Mile 7, you get a preview of what Mile 20 will look like. This is a blessing and a curse. The blessing: You know what’s coming during the 2nd half. The curse: You know what’s coming during the 2nd half. So, with that in mind, we ran together and came through the 13.1 split in 1:28. So far so good. However, from Mile 15-16, I started cramping (bad stitch, perhaps from the sun exposure along the riverfront). James and another runner pulled slightly ahead of me. This is about the time I saw my wife: “I’m feeling it” I told her. She, with her cowbell in hand, said something inspirational, and I moved along. Not sure if it was seeing her or the fact that I was entering the shaded portion of the race that helped, but I temporarily felt better (cramps subsided), and pulled even with James again. But this was short-lived. At Mile 19, we were heading into the hilly portion for the 2nd time. James pulled away. I slowed (not awful – Mile 20 was 7:13). At this point, though, James pulled too far ahead for me to feel connected to his pace. I was now on my own at Mile 20. If you’ve ever been alone at Mile 20, you know how lonely it is. So, even though my pace fell off (6:55-7:10 the rest of the way), it wasn’t a bonk. I was holding on. In the shaded, residential portion of the race, the crowd support was so helpful. 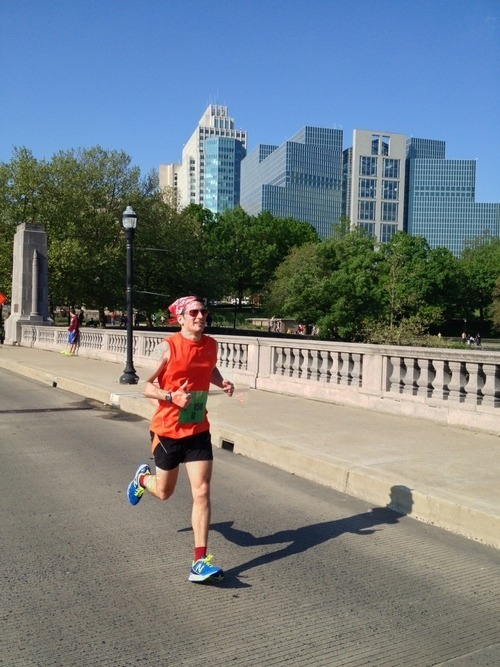 At Mile 23, my cumulative time was 2:37:13…there was still hope for a Sub3. Also, another surprising thing happened: I found myself running with and passing some of the Half Marathon participants. I encouraged them as I passed, and they encouraged me. It was a win-win for all of us! We survived the portion of the race in the Little Italy section of town (where there is additional sun exposure). Most of the last three miles was flat to downhill with the exception of a pretty lengthy bonus hill that James had initially underestimated (during the home stretch). I gutted it out with the hope that I could still do a Sub3. Once the last hill crests, you can let gravity do the rest and make your way to the riverfront for the finish. 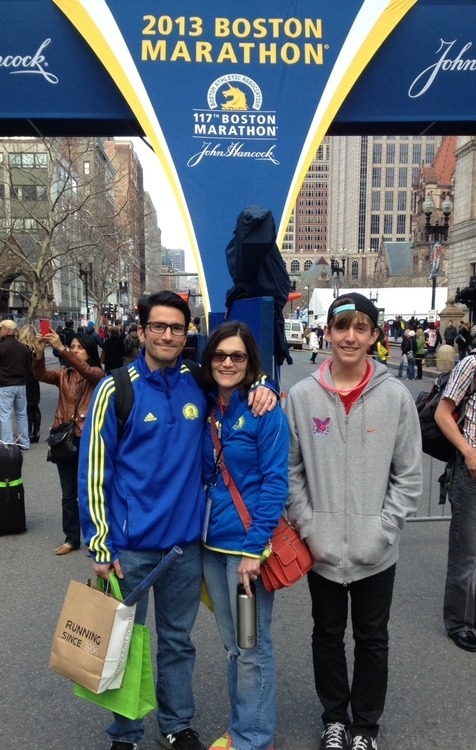 I ended up crossing the finish line at 2:58:53 (with my hand on my heart in honor of Boston). My 2nd Half was just under 1:31…I slowed but not too badly. The heat affected me, but the shaded course saved me. James saved me too. I was fortunate enough to see him in the finish area, which is where we fist bumped and congratulated each other. Even though this wasn’t a PR race, I feel satisfied with the results: 1) It’s a tough course, and 2) I finally didn’t bonk in a race with the temperatures above 60 degrees. 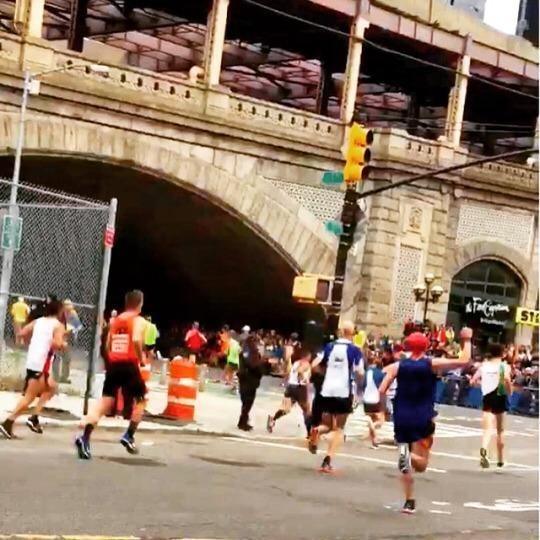 NOTES: There are also 4-person and 8-person relays and Half mixed in with the Marathon which can make the first half of the race a bit confusing and crowded; however, seeing these runners during the 2nd lap actually helped me psychologically. This race is great for spectating. You can see the runners at least four times without having to move. You can also move throughout the course and see runners multiple times. 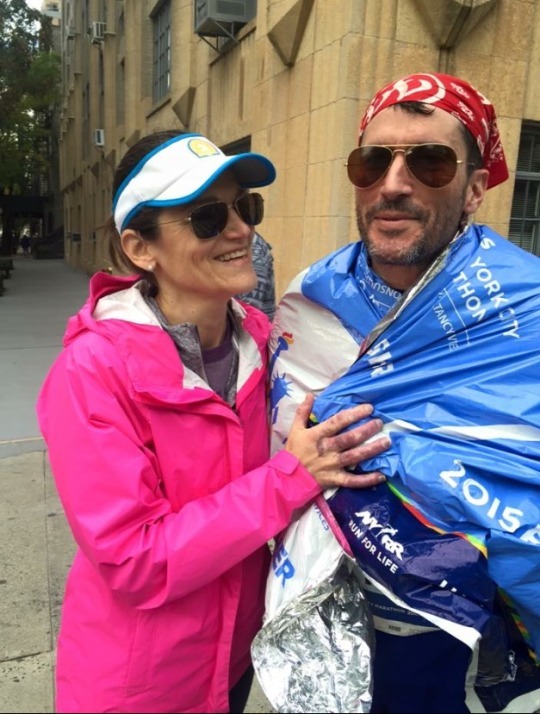 I must have seen my wife four times during the race (and this was a HUGE help). 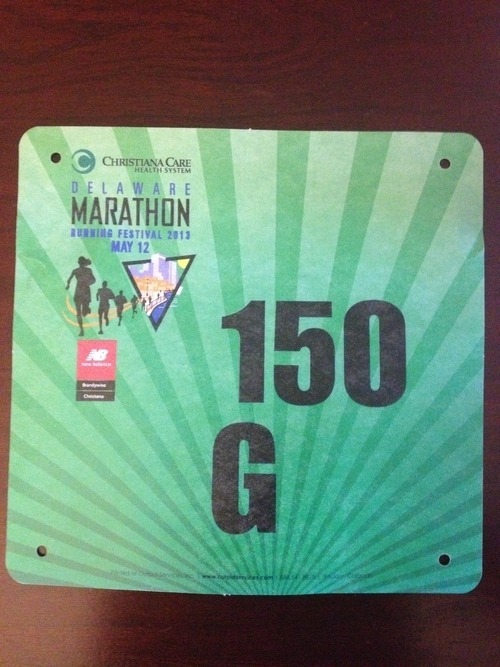 Perk: Custom Bib to avoid being called Gerald, Jared, George, or Greg! Not feeling good here, but I have my red socks!! My favorite race hardware ever! 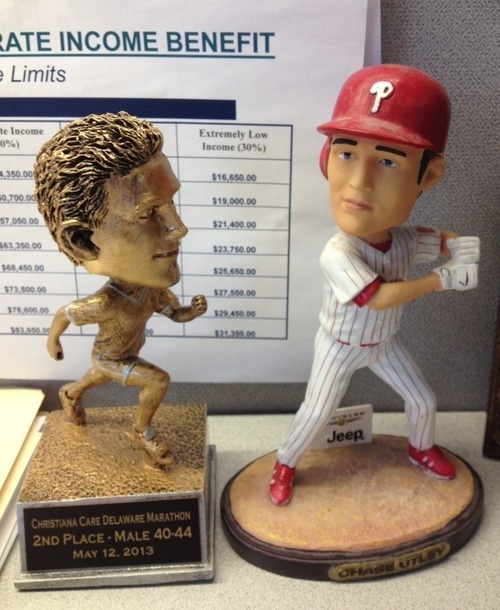 Chase Utley agrees! James got me by 59 seconds. When the bus drops you off at the start of the Steamtown Marathon in Forest City (this race is point-to-point), you immediately feel special. A volunteer comes onto the bus, welcomes you and gives you instructions. As you exit the bus, the Forest City High School cheerleaders do a cheer for you, you are given a souvenir ribbon, and another volunteer leads you into the gym where runners can stretch and keep warm. This was comforting for those of us with pre-race jitters. The weather cooperated for Steamtown. It was supposed to rain, but, thankfully, not one drop fell during the race. It remained cloudy, and the temperature held around 44 degrees. Perfect conditions (for me). I did wear “throw-away” gloves, which I ended up wearing the whole race. The way my training had gone, my goal was 2:57 to 2:59. 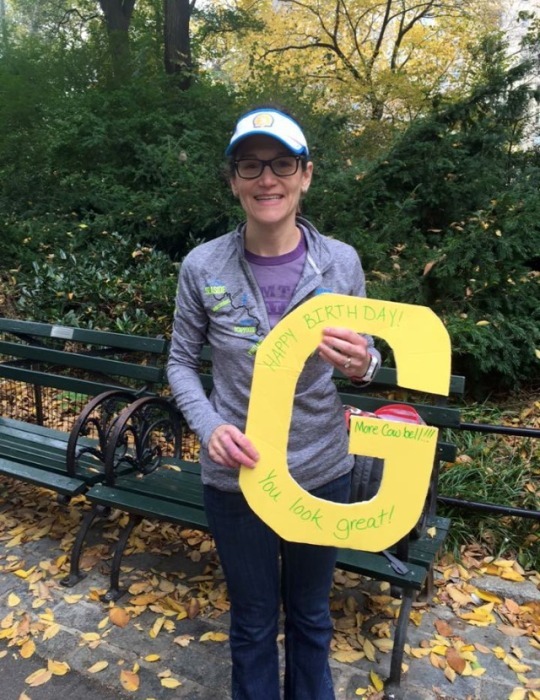 I resolved to focus on 6:45/mile pace because the math was easier (I don’t like to think too much during a marathon). The first eight+ miles of Steamtown are flat to downhill. If there is one race where it is important not to go out too fast, it is this race because of the hills that come later from Mile 23 to the Finish. You cannot “bank” time at Steamtown. I was fortunate to pace these first several miles with two younger runners, which happened to be Navy cadets… two great kids that kept calling me “Sir”…still weird for me to hear that. Their goal was Sub3. We ran together and chatted occasionally. 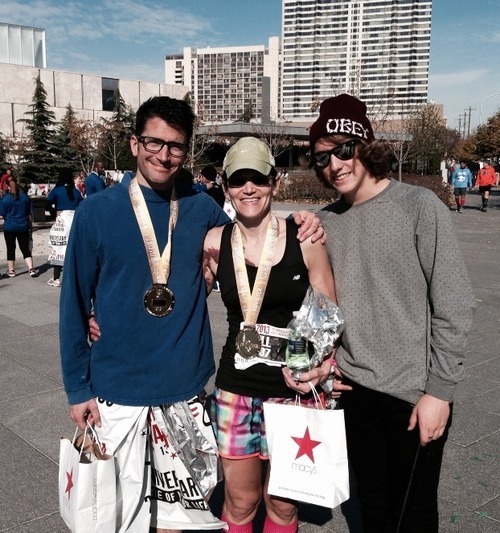 They kept me in check (we ran 6:44-6:52 pace during those eight miles). I didn’t go out too fast (Phew). 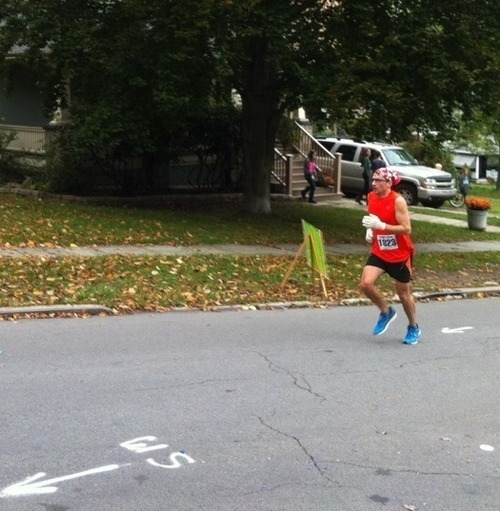 At Mile 8, I was in 86th place (yes, a young spectator was counting!). This is when I broke away from my new Navy friends. Breaking away from a pack is always scary during a marathon. Running on your own is much tougher when you’re running this distance. I was hoping to latch on to other people running at my pace goal. I never found anyone to run with, but today would be my day (at least I told myself that). My first half was 1:28:16, slightly fast, but I felt good, and I would find out soon enough if I went out too hard. Mile 15 was 6:29. Whoa, “OK Gerard, slow it down” I told myself. My next few miles, which were along a beautifully scenic “Rails to Trails” path, were more consistently in the 6:40s again. I started to think it might be my day when Miles 21 and 22 were both at 6:37. It was just beyond Mile 23 where I was brought back to earth. I turned my ankle badly, and as I compensated to correct it, I strained my groin. I assessed the damage, didn’t panic, and kept running; failure was not an option. I remained in “Mr. Spock” mode (I explain Mr. Spock in a previous post: SEE The Music of Running: Vol. 2), but ouch. I slowed down at Mile 24 (7:29), both from the pain of my ankle/groin, and the steep hill in the Green Ridge section of Scranton. Mile 25 was a bit better (7:10), but in the final mile, the wheels were coming off my wagon. The final mile is a straight-away and a long, ascent up Washington Avenue. It is not a steep hill, but it never seems to end. When I did make it to the top of this hill in downtown Scranton, I could finally see the finish line, which was still a couple hundred yards away. 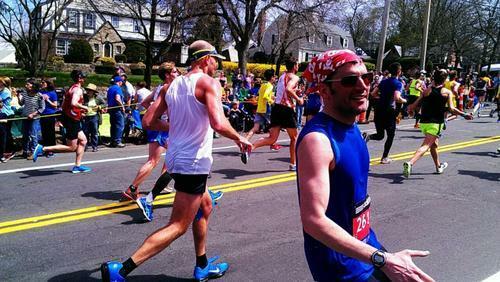 If you’ve ever done a marathon, you know how the last few hundred yards feels. It goes quiet. You feel like you’re walking. You almost feel detached from your physical body. Your brain is telling you to go, but your body is unable to respond; however, somehow you snap out of it. You begin to hear the crowd again, and you push through to the end. 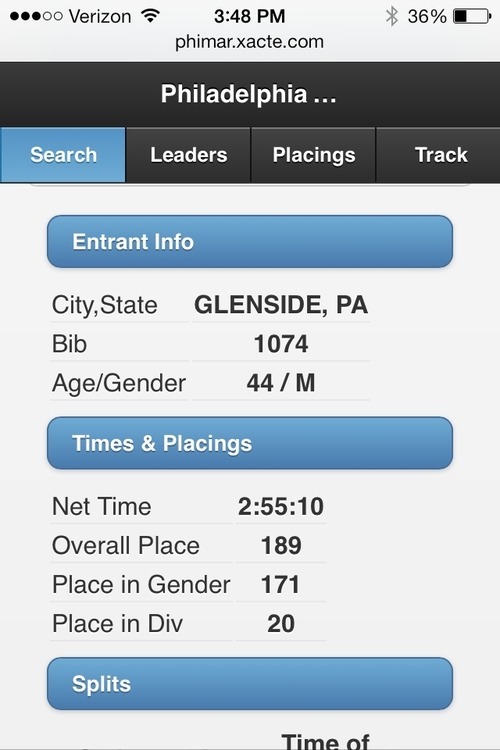 Place: 48th overall / 12th in my age group (the 40somethings are competitive). This was my third Steamtown, and it continues to be my favorite marathon for many reasons: it’s scenic, well-organized, fast, not too big (field is 2,500), and the crowd support in the small towns along the way is amazing. The people cheering you on will push you and give you hope for humankind. There are moments of quiet, but the balance of quiet and crowd support seems to match my running personality. Oh, and GREAT post-race food!! You can’t beat it !! Greetings and happy Friday the 13th Steamtown entrants! Hope you didn’t trip over a black cat on your training run today. Well, it’s only 81 days to the 17th annual Steamtown Marathon. By now your long runs should be getting pretty long so I thought I’d remind you in a very quiet, gentle, and meek way to MIX IN SOME DOWNHILLS ON YOUR RUNS! Wrong naiive runners! Banking time is a really bad idea and will result in agony and despondent thoughts when you hit the uphills (yes, uphills) in the later stages of the race. 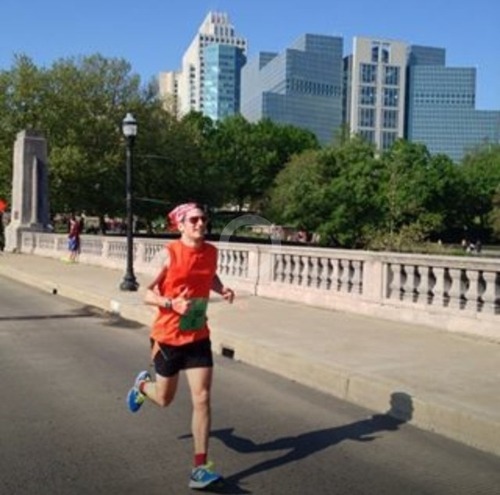 Your best strategy is to keep an even pace and try your best to run even splits for both halves of the course. I strongly suggest you attend the race expo to listen to the presentation about our course from really smart running people. They will make you promise that you will try to run even splits and will hold you down and give you a pink belly if you refuse. Also, if you are seeking yet another great half marathon in Northeast PA prior to running Steamtown, why not give the Wendy’s Wonderful Kids Half Marathon in fabulous Wilkes-Barre, PA a try? Well, that’s my story and I am sticking to it. Will drop you another line in a couple of weeks. Get going on those downhills.